Here in the City Innovation Team at Bristol City Council we have been working on the development of an API. 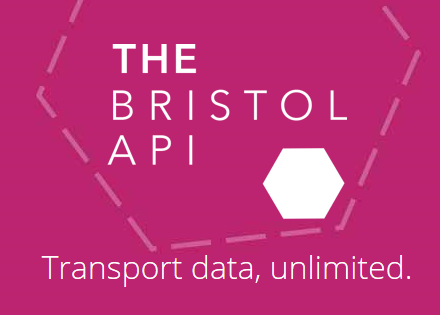 The Bristol API (Transport) is a web-based service that will make it easy for developers to connect their application to a wealth of transport data. Whether someone is building an app, website, connected device or customer information display, the Bristol API will provide live bus and train times, stop locations, route maps, journey planning, car park occupancy and more. UrbanThings, the company responsible for the successful Bus Checker app, were selected to develop this API with us. Bus Checker is one of the UK’s most popular transport apps and has received significant critical acclaim. UrbanThings and Bristol City Council are running a transport-themed Challenge Event in central Bristol on Saturday 23rd January. App and software developers, as well as those from the broader tech community, are invited to come along to build something exciting and innovative against our new API, with the day’s most successful creation being awarded a top prize. More details about the event will follow, but if you would like to come, we suggest you book your spot on Eventbrite now, to avoid disappointment if our limited spaces sell out in the new year. This will be the first in a series of engagement events around The Bristol API throughout 2016.